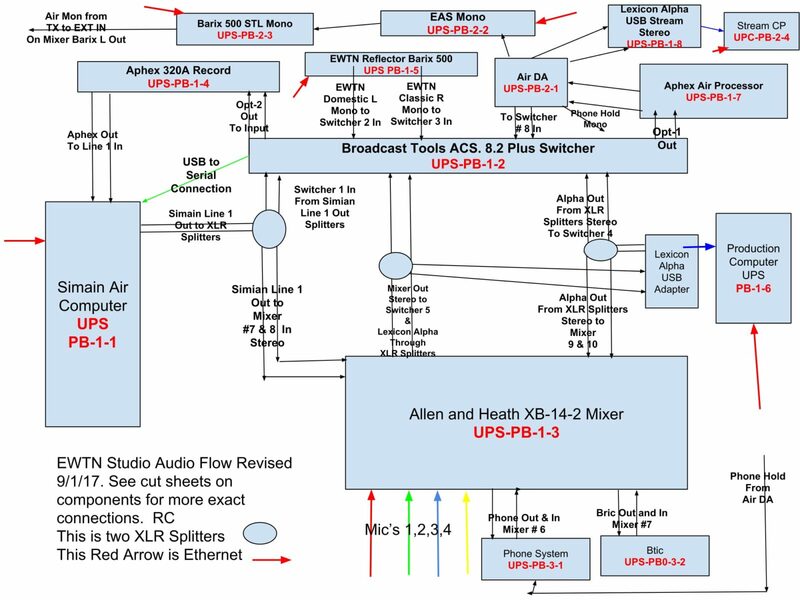 Wiring diagrams for connecting EWTN Stations with Equipment on this site. Click below to view in PDF for larger image and to print. This it the Broadcast Tools Switcher ACS 8.2 Plus. 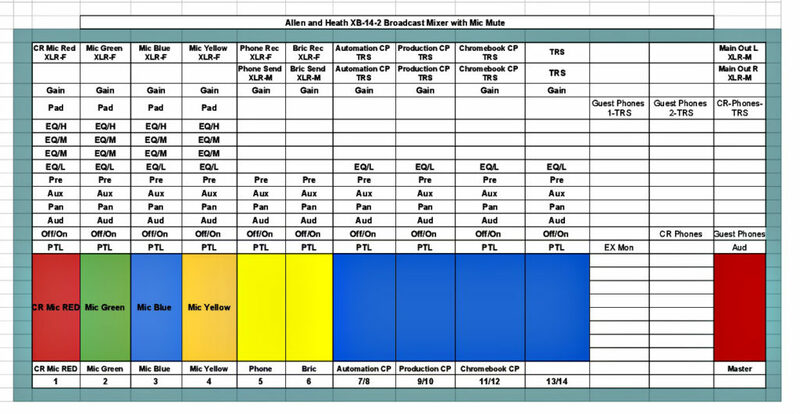 Here is a PDF of the Audio Flow for the EWTN Studio. 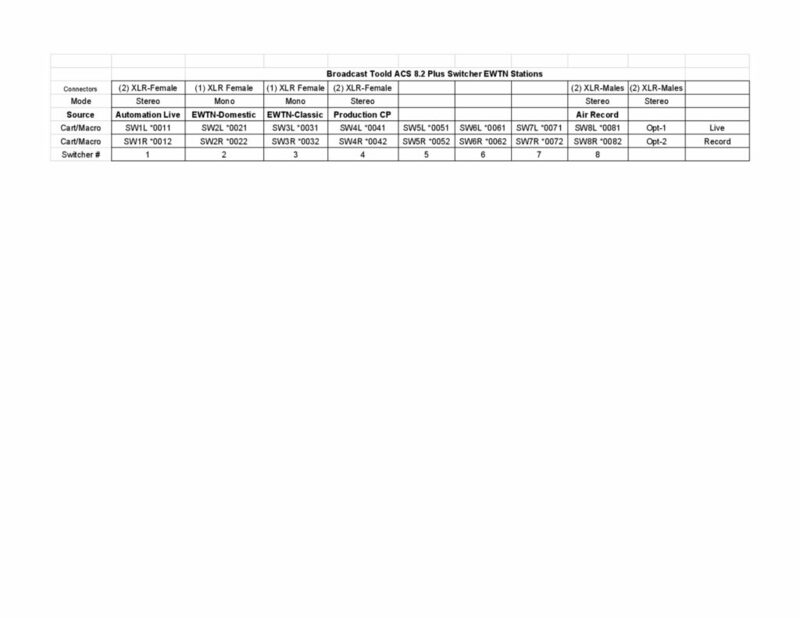 Click here to View larger and print.